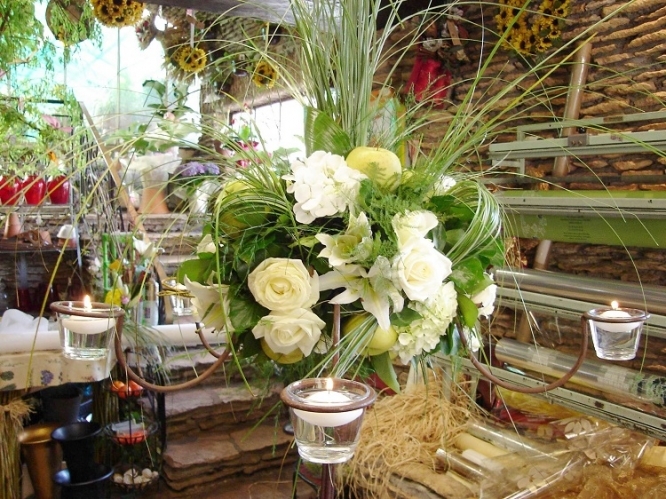 An artist’s eye and an in-depth knowledge of plants and flowers are not enough to be a fleuriste (florist) in France. You also need to know how to run a shop and have a sympathetic way with your clients, who often require your skills at key moments in life, such as a marriage or a funeral. Eric Délibie is a Maître Artisan Fleuriste, a high professional qualification, and has been a Meilleur Ouvrier de France since 1986. He runs a business (art-et-fleurs.fr) in Sarlat, Dordogne, with 10 members of staff and supplies floral arrangements for events throughout the region, as well as selling bouquets from his shop and via Interflora. In 2016, he provided flowers for 137 weddings, 148 in 2017 and was already up to 138 in 2018 when I met him.